What can I say about David Sedaris that hasn’t already been said? His essays demonstrate his electrifying wit, and reading his diary entries from 1977-2002 prove that the voice contained in his best-selling collections is completely authentic. This is definitely a book for those who are familiar with Sedaris and his work, and I loved reading the entires that detailed the events of some of my favorite essays. His entries about taking French class in France will be especially interesting to those who enjoyed “Me Talk Pretty One Day.” However, I think that people who are new to Sedaris will enjoy this book as well, as long as they make it past the first decade. Sedaris is honest about the depression that took hold of him during those years in the intro, so I expected those earliest entries to be darker than humorous, but new readers don’t know the wealth of laughter that lies beyond those years. Of course, why would someone who isn’t familiar with Sedaris choose to read his diary to begin with? Sedaris’s diary isn’t like most. He doesn’t wax poetic about his mental strife from day to day. Instead, he mostly records things he observes in the world around him. He rarely injects his own opinions into those observations, but the details he chooses to record still leave you with a solid grip on how he feels about them. Although the book is 500+ pages, I never felt like it was a slow read and instead found myself unable to put it down at times. 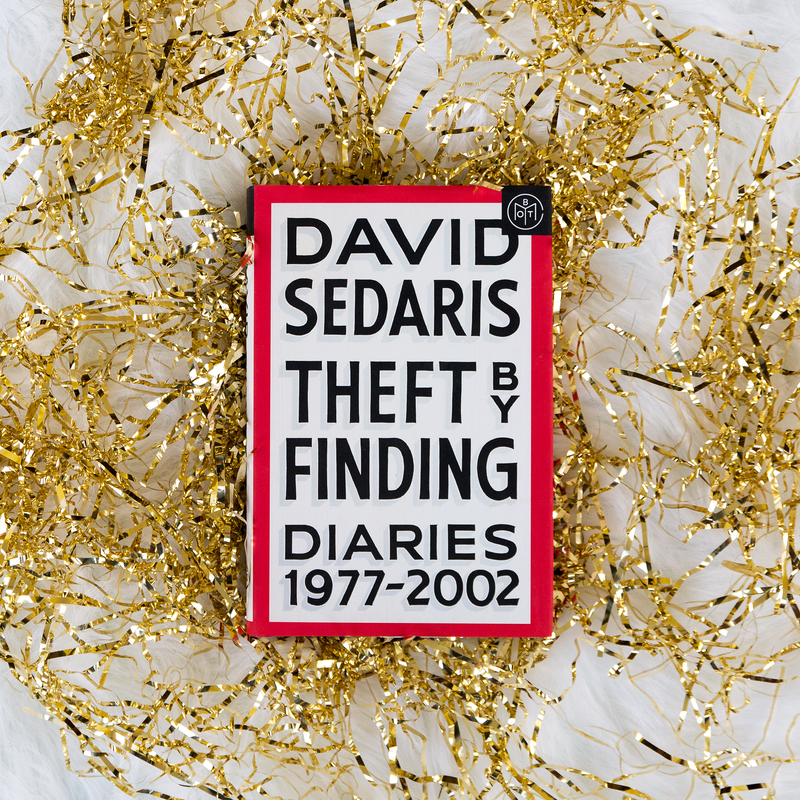 Posted in NonfictionTagged book review, David Sedaris, diary entries, little brown and company, memoir, nonfiction review, Theft by FindingBookmark the permalink.